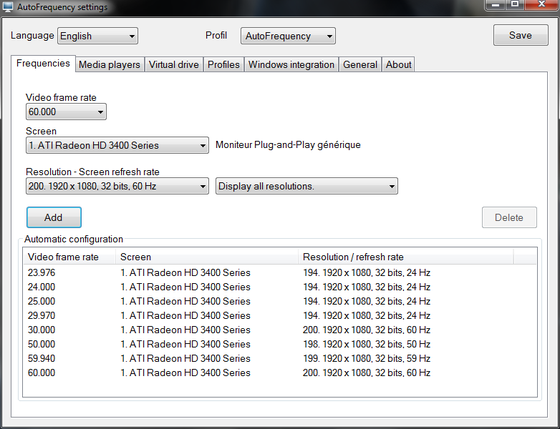 AutoFrequency automatically changes the frequency of your screen based on the framerate of the video, to ensure a smoother playback. 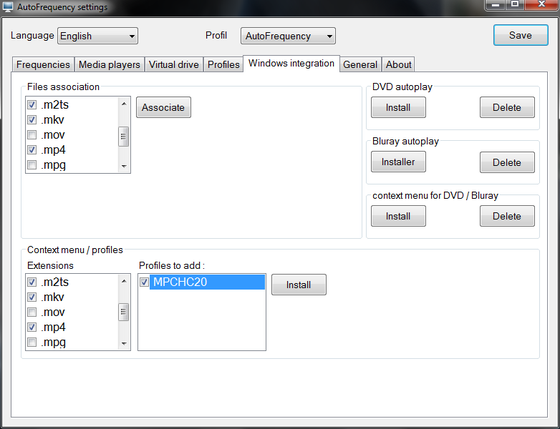 AutoFrequency works with MPC-HC to allow for the automatic detection and full-screen playback (using D3D Fullscreen). Virtual Drives are also supported, allowing you to mount and play DVDs and Blu-ray's stored on your hard-drive, and AutoFrequency will automatically unmount after playback (and of course, change the frequency at the start of playback). 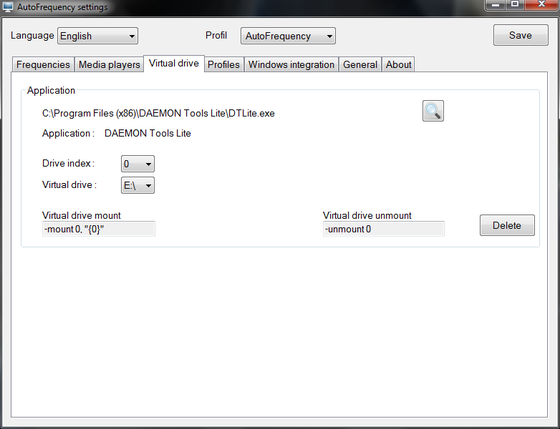 You can save and load multiple profiles for your playback needs, and there's also Windows integration, allowing you to associated certain file formats with AutoFrequency, and/or add the AutoFrequency context menu. Optimization:Send everytime the bdmv file's full path when the option is checked.